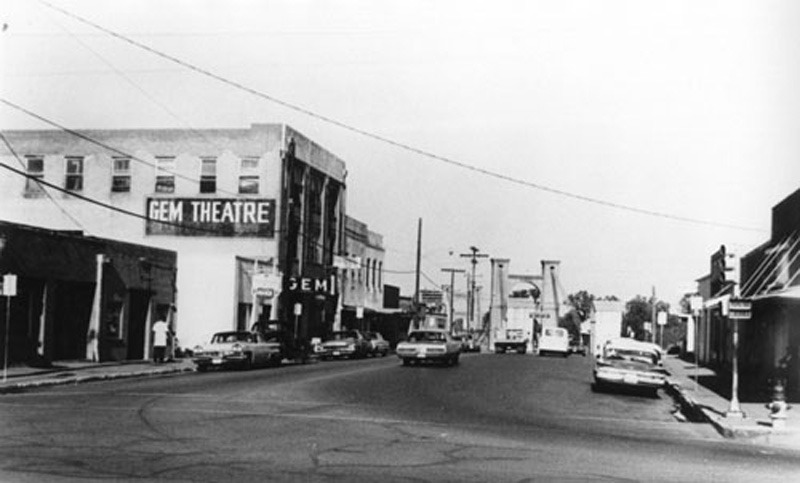 Bridge Street holds an important legacy of connecting North, South, and East Waco, and serving as a center of community for the city’s many ethnic groups. Known as Main Street during Waco’s early days, this historic street earned its new name after the construction of the Waco Suspension Bridge around 1870. Over time, many of the wooden buildings lining Bridge Street became so dilapidated that the street earned the nickname Rat Row. A fire devastated the street in 1871, and businesses rebuilt using stone, thereby improving the image and stability of Bridge Street. The majority of the African American community worked in businesses on Bridge Street during the nineteenth century. After the close of the Civil War and the emancipation of slaves, African Americans hired themselves out in Waco in positions according to the skills and experience they possessed. Most worked as laborers and servants, though many worked in positions such as farmers, schoolteachers, and carpenters. Near the turn of the century, Bridge Street emerged as the center of the minority-owned business community and became a communal gathering point. According to the Waco city directory, African American-owned barbershops emerged on Bridge Street as early as 1877, and several Chinese laundries and a Hispanic grocery store opened in 1892. Over the next decade, the number of minority-owned businesses increased rapidly. On the weekends, Bridge Street filled with families and citizens from all over Waco. Restaurants, taverns, hotels, and theaters offered entertainment and enjoyment, while doctors, dentists, grocers, tailors, and other business owners met the community’s other needs. Bridge Street also served as the center for several African American newspapers for Waco, including the Waco Messenger. 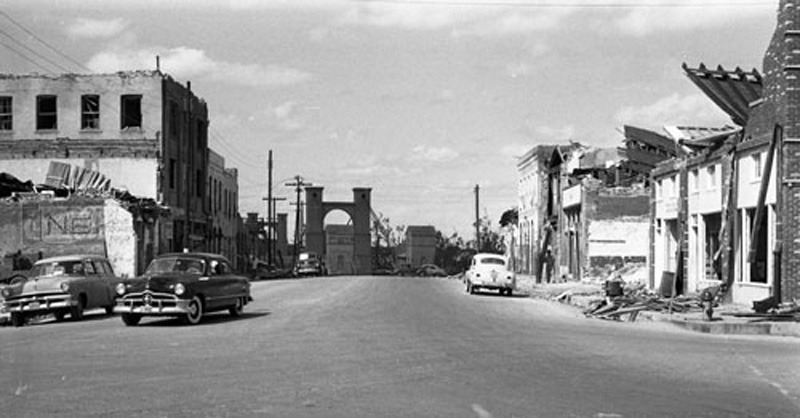 Tragedy struck Waco, and Bridge Street, in 1953. A tornado tore through downtown, taking one hundred and fourteen lives and destroying many businesses. Several buildings on Bridge Street collapsed, injuring or killing the people within. Businesses closed, leaving the lots vacant for several years. A few, such as the Mecca Drug Store, found the funds to rebuild. The citywide urban renewal project tore down the remaining buildings on Bridge Street in 1968, leaving only City Hall standing. Today, many lament the way in which urban renewal displaced Waco’s minorities through the destruction of Bridge Street. Though the buildings no longer stand, Bridge Street remains an important part of Waco’s history. 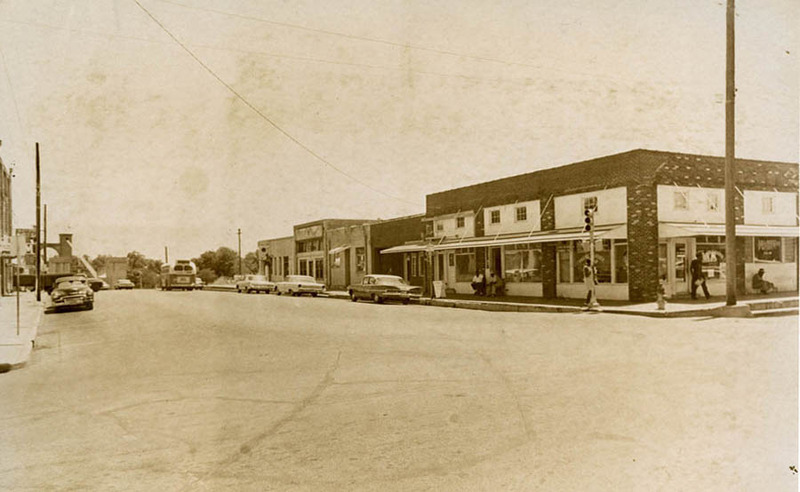 Not only did it provide a place for Waco’s minorities to engage in commerce in the heart of downtown, but it served as a communal gathering place in which respite from prejudice and segregation could be found in the mid-twentieth century. 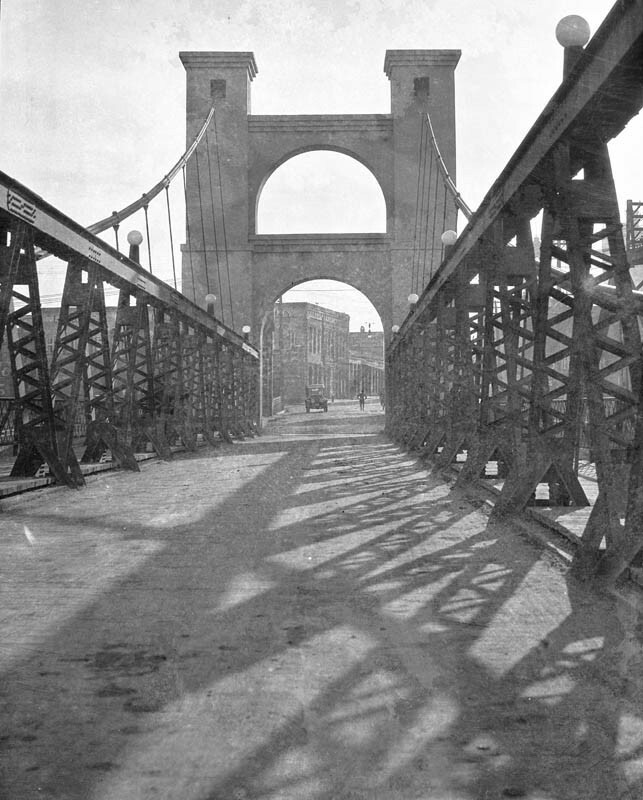 Amanda Sawyer, “Bridge Street,” Waco History, accessed April 18, 2019, https://wacohistory.org/items/show/49. 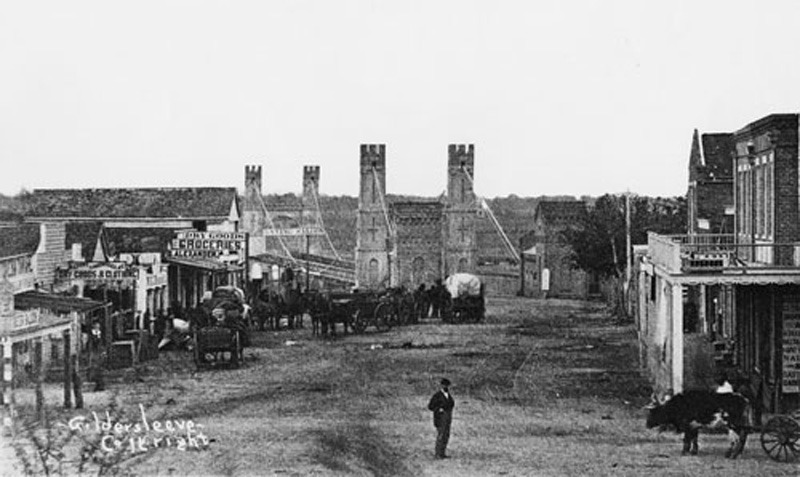 “Bridge Street: 1849 – 1890.” Baylor University Institute for Oral History. Web. 24 July 2014. 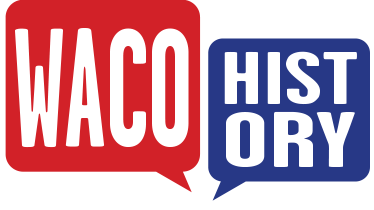 <http://www.baylor.edu/oralhistory/index.php?id=32190>.